A beautiful vine adds visual interest to an outdoor living space, but they actually have a list of benefits that is longer than most homeowners realize. In addition to pretty flowers that serve as pollen sources for birds and bees while, the vines’ sometimes dense mats provide shelter for nests and other wildlife. Not to mention, vines draw the eye upward while also covering up unsightly vertical spaces in our yards. Need to liven up a bare area or hide a fence? A vine can be a perfect solution with a little bit of care. Since water-wise gardening is a priority for Southern California residents, we’ve identified eight native vines to California for consideration. There aren’t a lot of native vines to choose from, but the options we have can be good ones in the right applications. 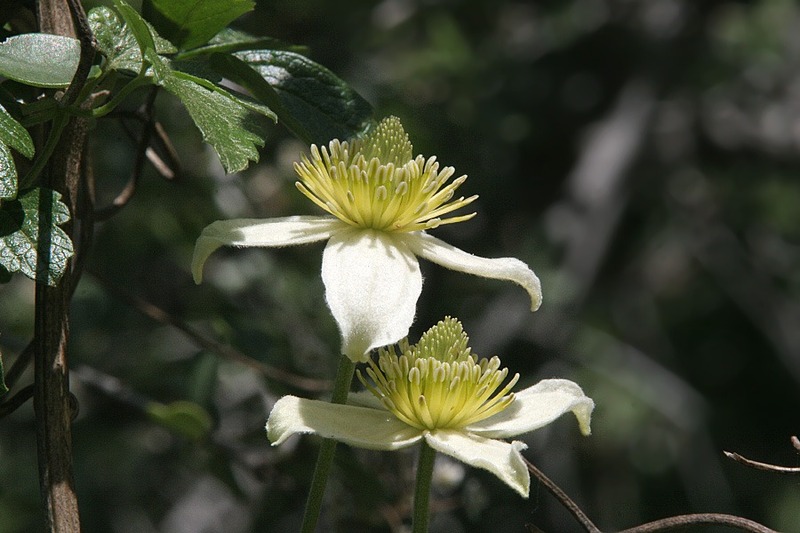 Pictured above, Chaparral Clematis is a deciduous vine with showy cream flowers the bloom in the spring though female plants maintain a puff-like flower even after the foliage browns during the summer. This vine can grows quickly up to 20′ tall and wide which makes it a great option for covering fences quickly. Like most native vines it prefers shaded roots and sun on its leaves. Chaparral Clematis grows well on the coast from Baja through Northern California and tolerates sand and clay soil. The 1″, purple-striped flower on this vine may be a little crazy looking but this plant provides important benefits to the ecosystem. It will grow like a carpet on the ground or climb up to a length of 20′ and does well in conditions absent of proper drainage and areas with flooding. The plant is native to Northern California but does grow in Southern California. It’s one of the many vines on display at the San Diego Zoo. 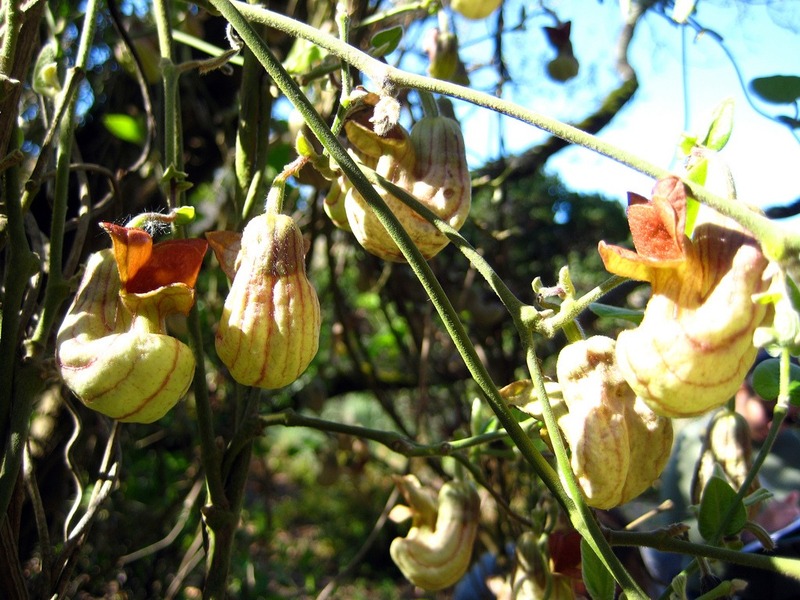 This unusual-looking vine is perfect for a butterfly garden. The red spotted caterpillar eats the vine’s leaves and uses the flowers as place to undergo metamorphosis. The plant has a toxin that when eaten prevents the caterpillars from also being eaten by predators. The larvae of the California pipevine swallowtail (native to Northern California) relies on the California Pipe Vine as its only food source. Another deciduous vine, pink honeysuckle can handle anything from full sun to shade. Pretty pink flowers grow at the end of stems that attract hummingbirds among others. The vine bears a small fruit that is edible but bitter and grows also up to 20′ tall. Homeowners also report that it’s deer resistant. 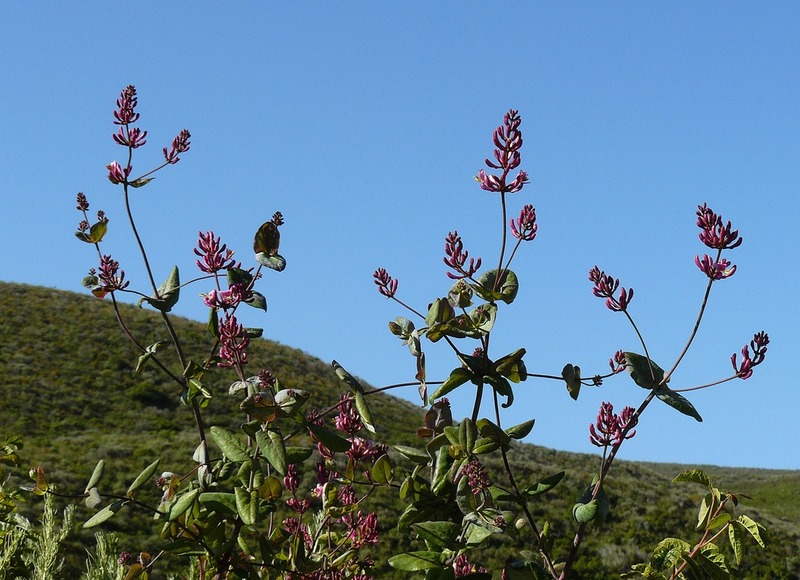 Fun fact: Since the stems are hollow, pink honeysuckle was used as smoking pipes by the Pomo people (an indigenous people of California). 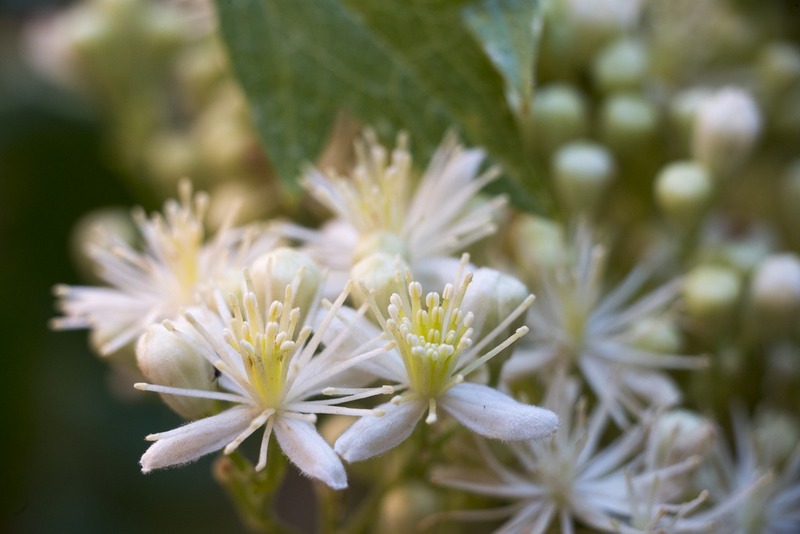 This pretty white flower appears in late summer and rests on a deciduous vine that prefers wet soil in a sunny spot of the first year or so until it becomes drought tolerant and almost self-sufficient. You don’t want to plant this in areas of high traffic as it can cause minor skin irritations and because of this, deer stay away from it. Expect it to grow up to 16′ and tolerate a number of soil conditions. Fun fact: This plant was used as a substitute for pepper (which was quite expensive at the time) by pioneers of America’s Old West. And, Native Americans used it to treat migraines, eczema and other skin irritations as well as to ward off evil spirits. 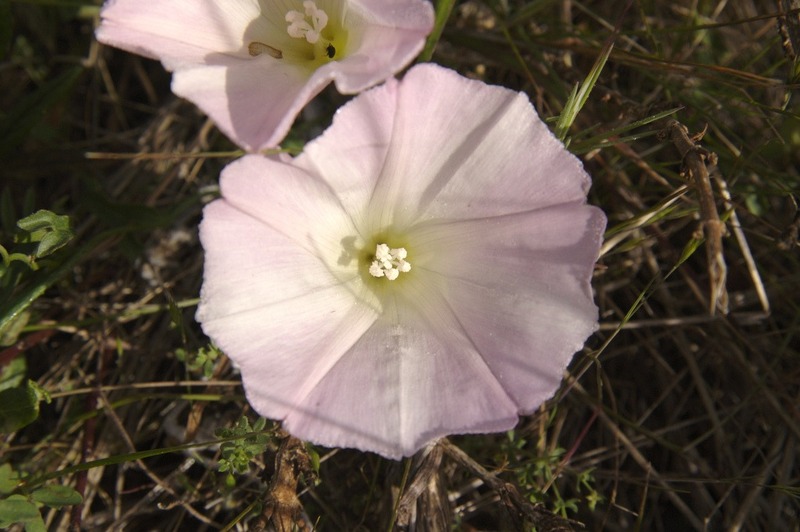 This pretty morning glory is native to Baja, Southern California and the Channel Islands. California Morning Glory grows like a larger groundcover or climbs depending on the environment. Either way it can reach up to 27′. It prefers full sun near the coast and morning sun/afternoon shade in warmer inland climates. The seeds can be toxic. This twining vine is often used when xeriscaping and the blooms last nearly all year round. It helps to wash it down in order to prevent the foliage from drying out in the summer. 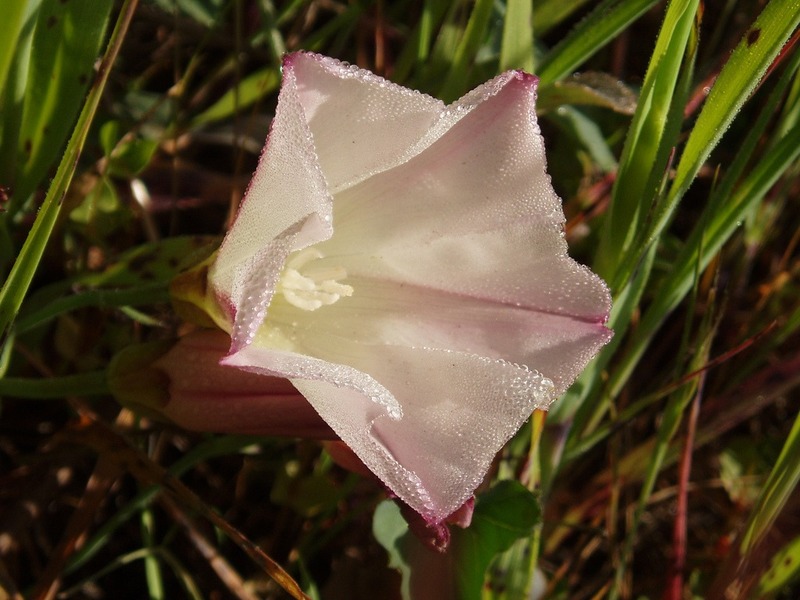 Pacific False Bindweed is also a species of Morning Glory with growing preferences the same as the California Morning Glory—full sun on the coast and afternoon sun inland. The flowers on this vine are much showier with glossy green leaves. It does extremely well on trellises, with its slender stems growing up to 10′ tall and wide. It’s not a terribly common vine, but worth a mention since it’s actually native to San Diego as the name implies. This sweetpea has fragrant purple blooms and can grow to about 10′ high and 3′ wide. It’s usually found under oak trees in the wild and prefers only partial sun. San Diego Sweetpea is often called Canyon Pea or Pacific Pea. 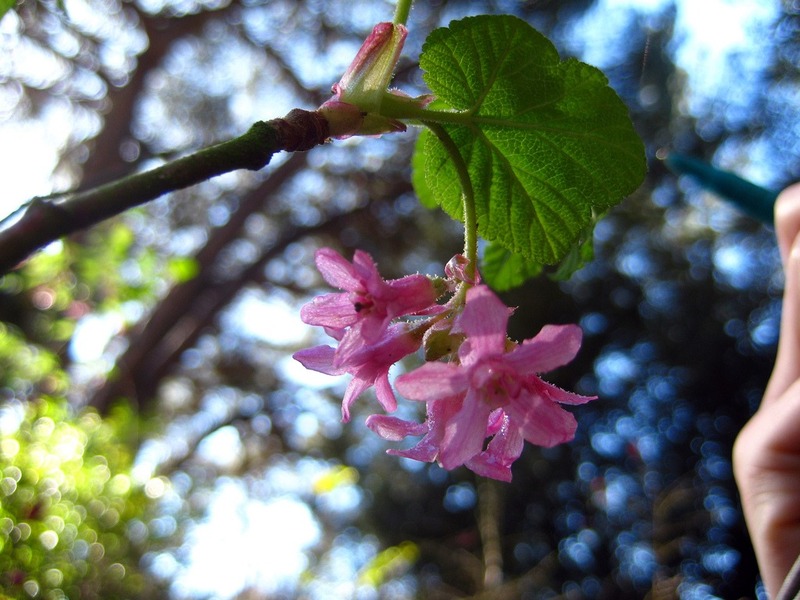 Pink Flowered Currant is a shrub that vines with showy pink, scented flowers in late winter. It likes shade and partial shade, growing to about 6′ tall and wide. The fruit is edible and once established, this currant is extremely drought tolerant and hearty in coastal areas. Your new vine will need some guidance once planted because if the growing ends can’t find something to cling on to, they’ll stop growing completely. While some vines grow beautifully up lattices, others prefer thinner support such twine. It’s not uncommon for homeowners to use twine or netting in addition to a trellis for climbing vines such as clematis. Depending on the type of vine, you may have to help it by trussing or tying it on to the support structure as it grows. Fishing line and twine work well for this. You’ll likely need to research the best time of year to prune your vine, too. Ask your local nursery for tips. Which California native vines are growing in your yard? Photo credits: Clematis lasiantha, Flickr/NatureShutterbug; Lonicera hispidula, Flickr/briweldo; Lonicera hispidula, Flickr/docentjoyce; Clematis ligusticifolia, Flickr/archesnps; Calystegia macrostegia, Flickr/jkirkhart35; Calystegia purpurata, Flickr/tomhilton; Ribes sanguineum glutinosum, Flickr/briweldon. All photos are Creative Commons 2.0 with no modifications made.